Telecommunication companies in India & Career opportunities: Due to an increase in the IT sector, a huge number of Telecommunication companies come in India. This increased the number of job opportunities in the Telecommunication Industry. So, all the candidates who admire to get a job in Telecom industry are requested to go through this article and keep your self updated with the latest updates. In the Last decade, there has been tremendous growth in the Telecom Industry. The telecommunication industry in India is one of the fastest growing industries in the world. It is seen as the second largest communication network. BSNL (Bharat Sanchar Nigam Limited) is the reputed company Telecom market of India. 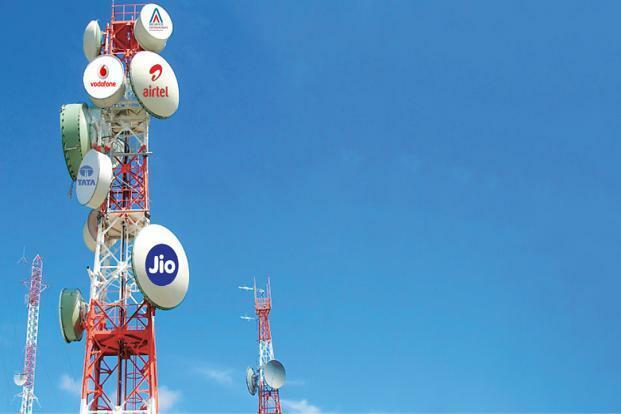 The Indian telecommunication policies were further modified to bring more private telecom companies in the market. There are various other Several private companies like Bharti Airtel, Reliance Communications, Tata Indicom, Aircel, Vodafone, Idea Cellular that joined the Indian market. According to the March 2011, mobile phone sector in India has registered about more than 20.21 million users in a month. In 1975, the DoT (Department of Telecom ) has given a separate authority to handle telephone services in the country. MTNL (The Mahanagar Telephone Nigam Limited) started its services in the year 1985 for carrying out the telephone operations in the metros of India, viz. Delhi and Mumbai. In October 2000, Department of Telecom formed BSNL (Bharat Sanchar Nigam Limited). After this many other private companies came into the sector like Reliance Communications, Tata Indicom, Airtel etc. A Communication Convergence Bill was in brought in the Parliament in 2001. The International Long Distance Services (ILDS) have been kept open. Cellular operators have the authority of supplying all types of service, like voice and nonvoice messages, data services etc. The New Telecom Policy updated in the year 1999 strength the participation of private companies in services as Global Mobile Personal Communication by Satellite (GMPCS) Service, digital PMRTS (Public Mobile Trunked Service) and Voice Mail, Messaging Services etc. To achieve USO (Universal Service Obligation) funding and administration, several measures were taken. To start Community Phone Service, an announcement was made. Rules regarding the Multiple Fixed Service Providers (FSPs) was announced. In order to establish International Internet Gateways, which include both Satellite and Landing Stations, the Internet Service Providers (ISPs) was permitted. The Government of India also has set up various rules to form Internet telephony (IP). The Bharat Sanchar Nigam Limited is the India Biggest cellular service operator was set up in the year 2000. It is a state-owned telecom company. The companies head office is situated in New Delhi. BSNL also has the largest landline telephone network in India. The company has more than 87.1 million users all Over India. MTNL (Mahanagar Telephone Nigam Limited) was formed in the year 1985. The main aim of the company is to run telecom operations in the Bigs metro cities of India like Mumbai, and Delhi. Its head office is located in Mumbai. MTNL was the first company in India to start 3G services in India by the brand name of “MTNL 3G Jadoo Services” which supports Video calling, Mobile TV, Mobile Broadband and another service to customers. Bharti Airtel Limited was formed on July 1995 its head office is located in New Delhi. Airtel provides services in more than nineteen countries all around the world. It ranked fifth among all telecom service provider globally. According to April 2011 figures, Airtel has more than 164.61 million users which make them one of the biggest mobile service operators in India. Its service includes both 3G and 4G facilities. RCOM (Reliance Communication) was formed in 2004. The head office of the company is located in Navi Mumbai. Reliance Communications has more than 128 million users all across the world. Aircel was formed in 1999. The head office of the company is located in New Delhi. It is a joint venture between Maxis Communications and the Apollo Hospitals. Vodafone Essar was founded in the year 1994. The head office of the company is located Mumbai. Vodafone provides various services to twenty-three telecom circles across India. The Tata Teleservices was formed in the year 1996. The head office of the company is Located in Navi Mumbai. Idea Cellular was formed in the year 1995. The head office in of the company Mumbai. It also provides 3G & 4G services to its subscribers. Virgin Mobile started its services in India in March 2018. It is a U.K. based organization. This Company is a joint project between Telenor Group and Unitech Group formed in year 2009. We hope that our article about Telecommunication companies in India & Career opportunities will surely get know about the telecom Industry.